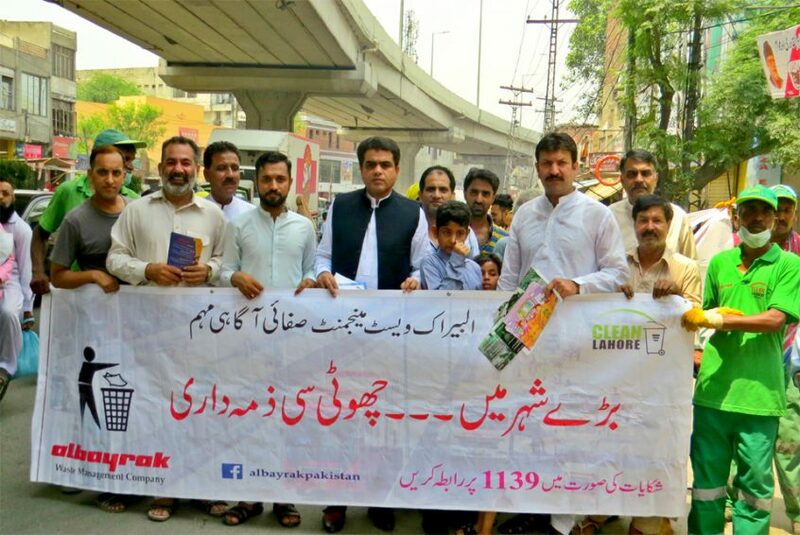 In a one-day cleanliness awareness drive, Albayrak team joined hands with school students, UC Chairman and other public representatives, to urge the shopkeepers and residents of Lytton Road and its vicinity to manage their waste properly. The campaigners requested the public to hand over their waste to the sanitary workers and to place it in the waste containers installed by Albayrak Waste Management. The team also briefed the local shopkeepers about additional services and resources which will be put in use for Eidul Azha. The chairman and students distributed waste bags and brochures and asked the public to cooperate with the waste management company.